Family Favorite recipes that are easy and delicious. These cherry cinnamon rolls are so easy to make and taste sinfully delicious. 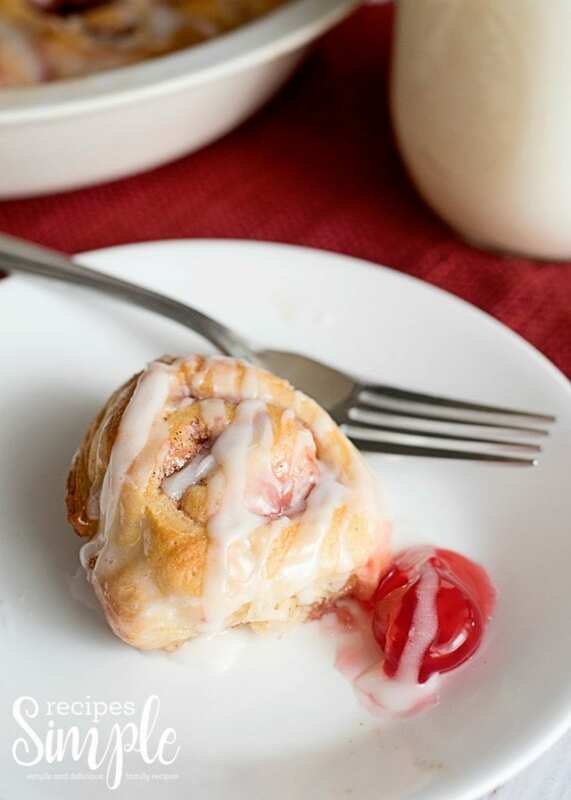 You can whip up these cherry pie cinnamon rolls in under 30 minutes for a quick breakfast or treat any time of day. Using crescent rolls in this recipe speeds up the prep time which is great when you want a tasty breakfast or treat to serve and you don’t have a lot of time to prepare it. You can also change out the cherry pie filling for blueberry, apple, peach or strawberry. It’s a great way to change it up and try something different. 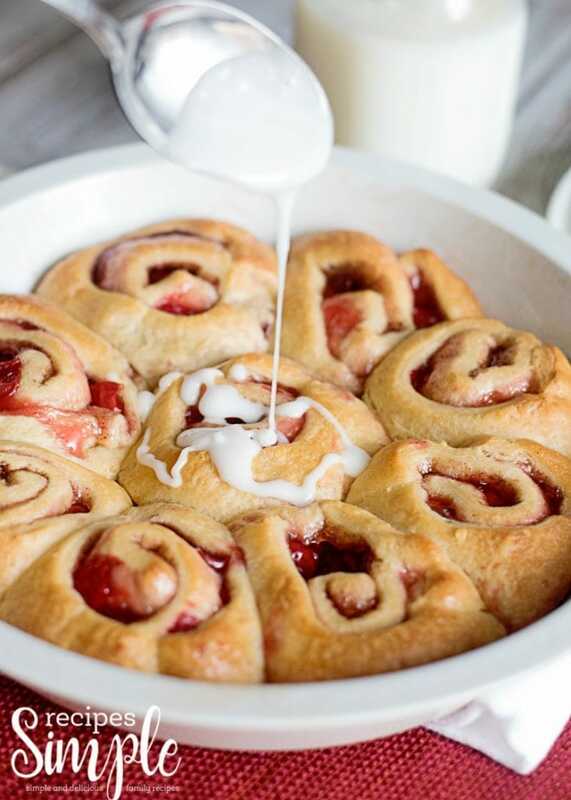 Crescent rolls filled with cherry pie filling, cinnamon and sugar and topped with glazed icing makes a soft, warm, delicious breakfast treat that will quickly become a family favorite. 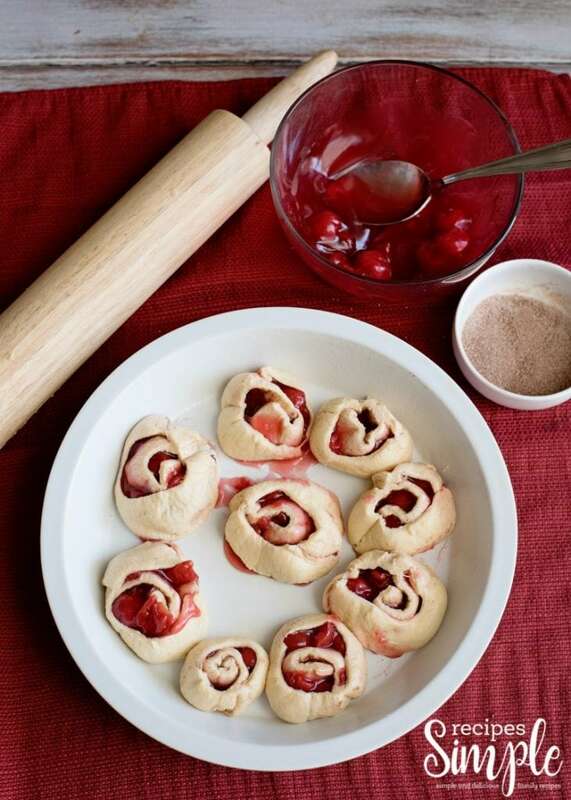 Scroll to the bottom for printable Cherry Pie Cinnamon Rolls recipe. I love having tasty treats like this that I can make for last minute guests, an easy breakfast on a Sunday morning, and for a midnight treat. These are also great to make as a special treat for breakfast or brunch on Mother’s Day or Valentine’s Day. If you are like me and love to have simple and delicious recipes to make for breakfast or dessert, then you will love this one! Turn your oven and then roll out your crescent rolls into a sheet. 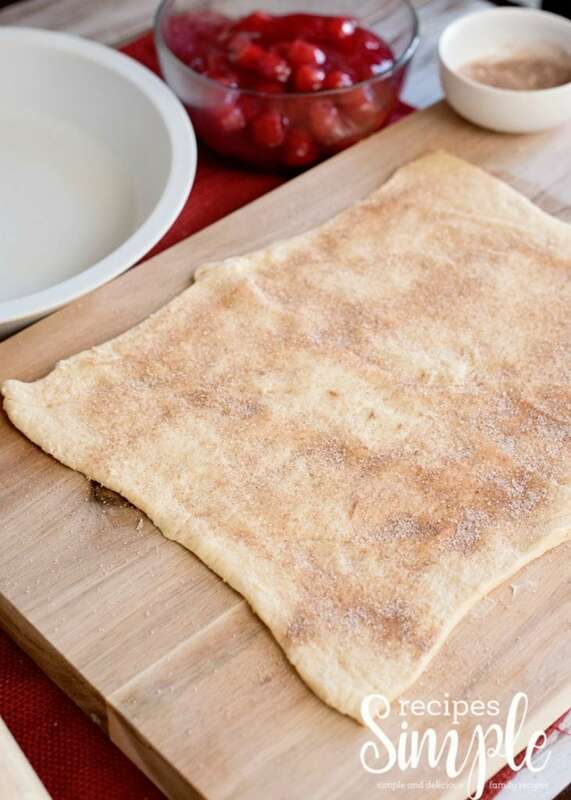 Next, take your cinnamon sugar and sprinkle it all over the crescent roll dough. 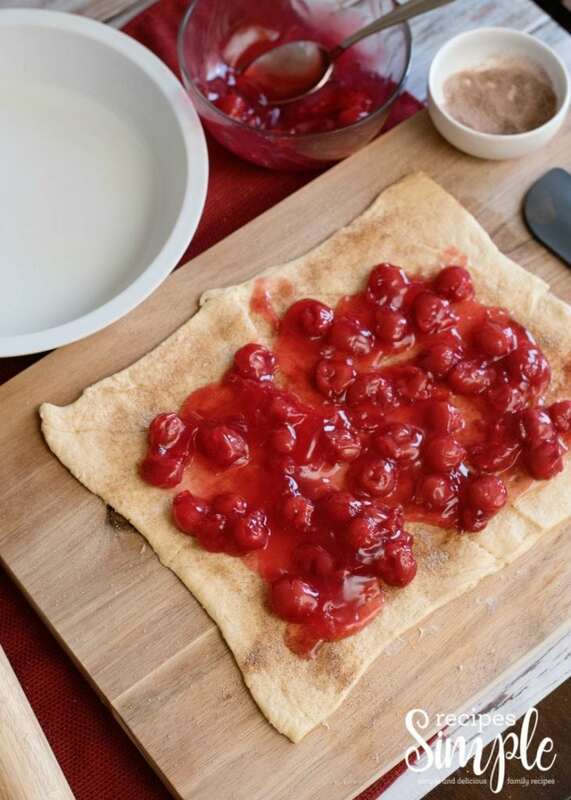 Then spoon out your cherry pie filling all down the middle of the sheet, and make sure to leave a little room around the edges that is just dough. Roll the dough into a long log, and try to roll it pretty tight, and then pinch the seams closed on sides. When you go to slice use dental floss or string, it will cut a lot easier. Just tie it around the long and pull for a clean cut. The cherry filling makes it a little hard to slice with a knife. Line the rolls around the pan and bake for 17 minutes. 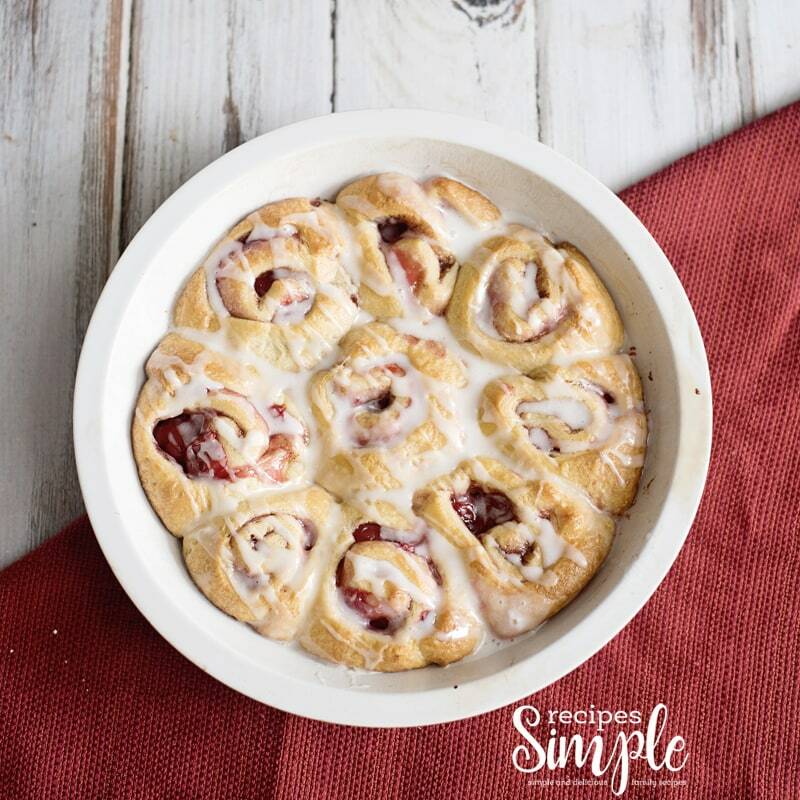 Mix up your glaze and spoon it over the top of the cherry pie cinnamon rolls, and serve. 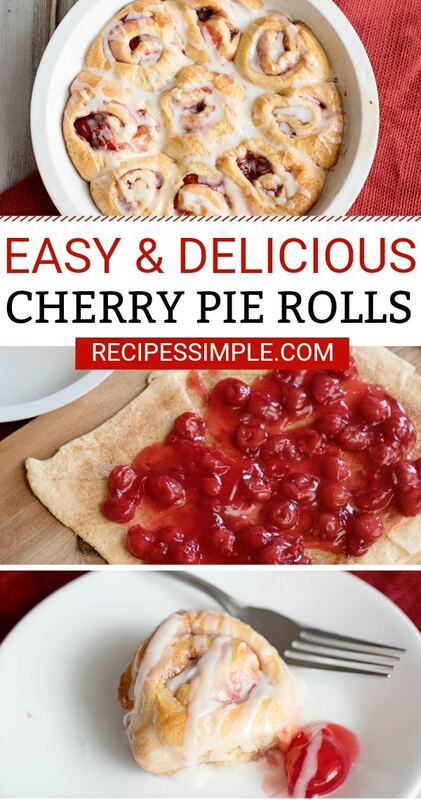 These cherry pie cinnamon rolls are so simple to make and taste sinfully delicious. 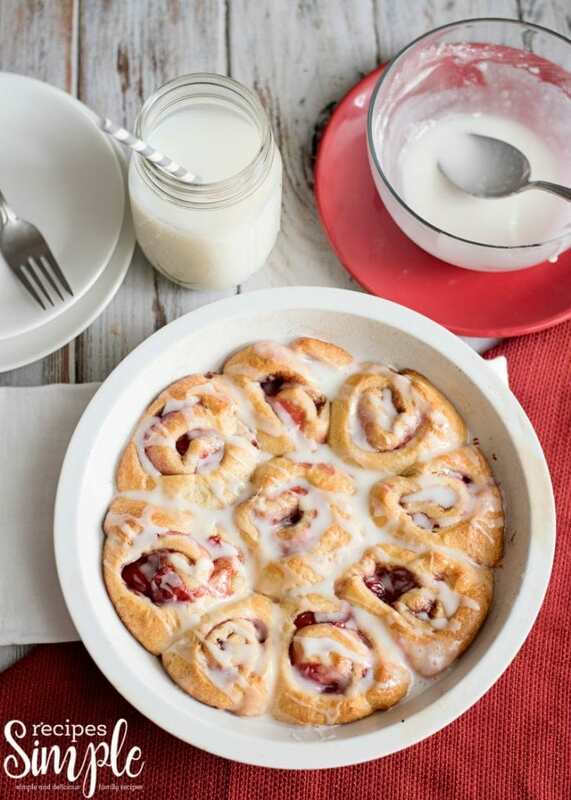 You can whip up these cherry cinnamon rolls in under 30 minutes for a quick breakfast or treat any time of day. Prepare a 9-inch pie pan with non-stick spray and preheat the oven to 375 degrees. Roll out the crescent roll sheet and pinch together all of the perforations, removing all of the seams. Sprinkle the cinnamon sugar all across the sheet. Spoon your cherry pie filling all down the middle of your sheet, leaving room at the horizontal edges. Starting with a long side, roll the sheet up into a log and pinch the seams closed. 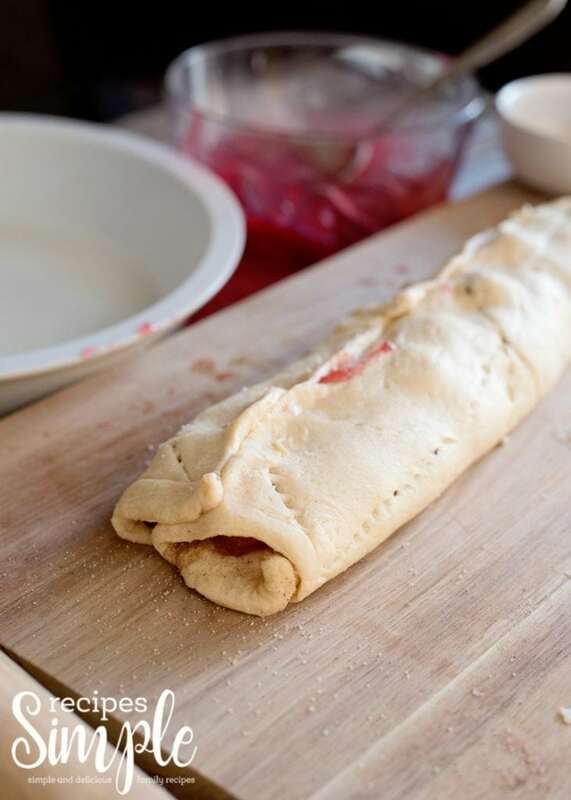 Slicing the roll can be tricky with the cherry pie filling. The best option is to use a kitchen string or floss and tie it around the log, making clean slices. Line the rolls around your pan, with one in the middle. You should be able to get about 9 rolls from the sheet. Bake for about 17 minutes. While the rolls are cooling a little, mix together your glaze. Spoon it over the top, scoop and enjoy! Please FOLLOW & SHARE on FACEBOOK, INSTAGRAM and PIN IT For Later! I Would Love To Have You Follow Me On PINTEREST. Shop Our Favorite Kitchen Items And Best Gift Ideas On Amazon.